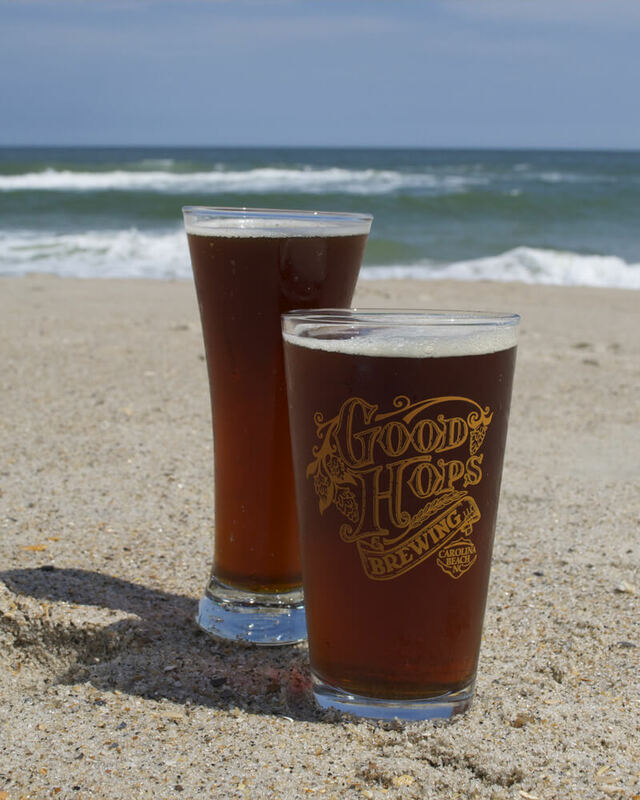 Let’s kick off the good times at Good Hops Brewing, just 15 miles south of Wilmington in Carolina Beach. 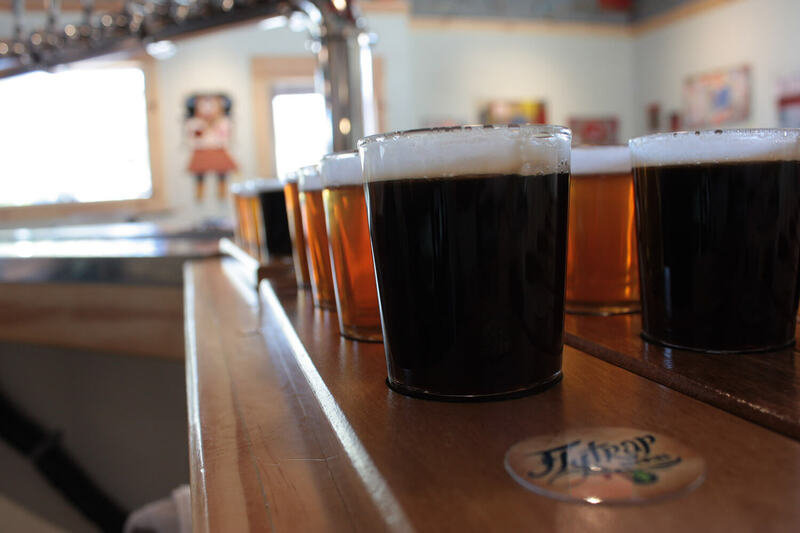 A sister brewery to Lookout Brewing in Black Mountain, Good Hops is a family-owned business. But don’t expect an exotic Asheville-inspired brew here. Good Hops brews European beers that are true to style. Slightly sweet and less bitter, they contain a balance of malt and hops and lower carbonation levels, perfect for the Pleasure Island atmosphere. Good Hops’ flagship brew, the Donna Golden Ale, was named to commemorate the owner’s niece and is a refreshing, light-bodied malt with just the right level of fruitiness. Join in on conversations at the repurposed bar in the Good Hops tasting room. Start downtown at Wilmington’s first craft brew landmark, Front Street Brewery. The city’s beer scene got its start in 1995 at the historic circa 1865 building at 9 N. Front Street. Take a seat at the handcrafted wooden bar, or if it’s nice outside, park it at a patio table on the sidewalk to take in the heart of downtown. Front Street Brewery always has its 10 flagship microbrews on tap. The brewery’s light-bodied American wheat ale, Riptide Raspberry Wheat, is a patron favorite with its “just enoughness” of raspberry flavor. With a 4.7 percent ABV, it’s the perfect light and refreshing warm weather brew. Front Street Brewery is the only brewery in Wilmington that is also a restaurant. Pair their famous pulled-chicken nachos with any of their handcrafted brews, and you won’t be disappointed. From the oldest to the newest, walk a couple of blocks north to 2nd Street where Ironclad Brewery recently made its debut on the Wilmington craft beer scene earlier this year. 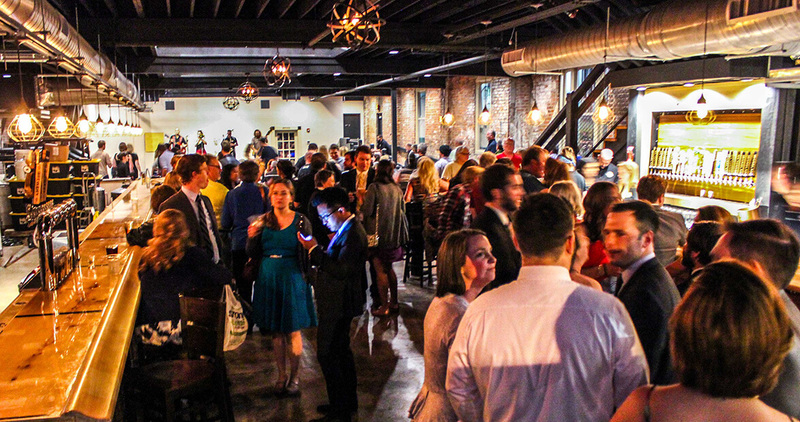 Housed in a historic warehouse dating back to 1925, Ironclad Brewery has revitalized the space by integrating a craftsmanship theme, which nods to the ironclad ships built locally during the Civil War. Head brewer Ethan Hall has a simple brewing philosophy: “Brew as true to the English style as possible,” which means taking a conservative approach to hops when necessary. Ironclad’s English-style IPAs have a solid malt backbone to support the bitterness of the hops. One of Ironclad’s signature beers is the Fish Tale Pale Ale, which is brewed with a malt base and Centennial hops, and orange peels are added at the end of the boil to give it a pop. Unique to Ironclad is its 12-beer filling station. You can choose from six of their craft beers and six guest beers to take home in refillable glass growlers. About five blocks north in the Brooklyn Arts District, you’ll find Flytrap Brewing and its art-filled taproom. 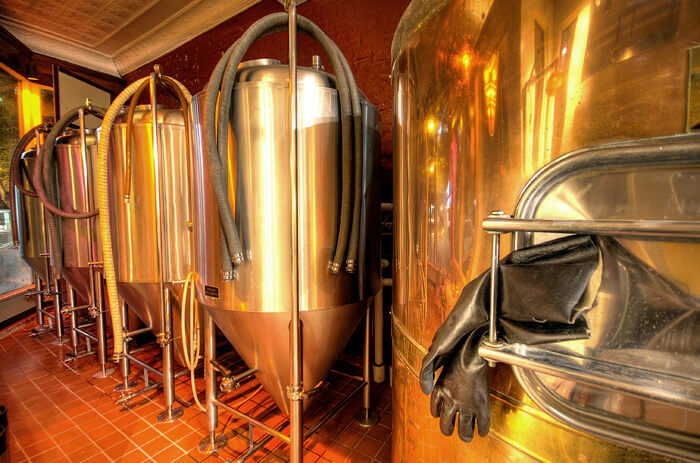 Specializing in American- and Belgian-style ales, the brewery opened October 2014. Inspired by a trip to Belgium, founder and head brewer Mike Barlas brews small, 20-gallon batch ales that are well balanced and full of flavor. In addition to several rotating beers, the brewery has four flagship beers: Rehder’s Red Ale, a hoppy tripel, a stout, and a saison. The hoppy tripel is brewed as a Belgian ale but hopped as an American IPA for a smooth balance of citrus and hops. For a light, crisp, and citrusy beer, try the saison, a Belgian farmhouse-style ale. Wrap up your Saturday night here by finishing a hoppy tripel and grabbing a bite from the food trucks parked outside. Get ready for tomorrow as we travel to midtown and beyond. Grab some brunch, then head north from downtown to midtown’s Wilmington Brewing Company, on Kerr Avenue. Talk about an evolution: In a short time, John and Michelle Savard began with a small homebrew and supply store and expanded to a nearly 12,000-square-foot brewery, tasting room, and supply store in June 2014. They handcraft West Coast IPAs with a passion. “They’re big hop bombs with a taste of grapefruit,” Michelle says. One of their flagship brews, and one of the hoppiest on the menu, is Lightning Strikes Twice, an Imperial Double IPA at 9.4 percent ABV. All of Wilmington Brewing Company’s craft beers are on tap and fresh from the tank. Currently the brewery has 15 taps – 10 of their own beers and 5 guest beers. Head south on Kerr Avenue toward North Market Street for less than five miles, where you’ll find Broomtail Craft Brewery in Dutch Square Industrial Park. The taproom is small but inviting, and there’s outside seating under the trees and the friendly face of co-owner Lisa Owings pulling the taps behind the bar. Broomtail offers 11 beers on tap, including their specialty Catch of the Day, which it brews in collaboration with chef Keith Rhodes from Catch restaurant. Catch of the Day is a witbier with a mouthful of exotic flavors like lemongrass and ginger root. Another taproom favorite, its flagship Acerbic Ecstasy, is “an English and West Coast hybrid,” Lisa says. Approaching its one-year anniversary, Broomtail Brewery has something for everybody on tap. Don’t have 36 hours? 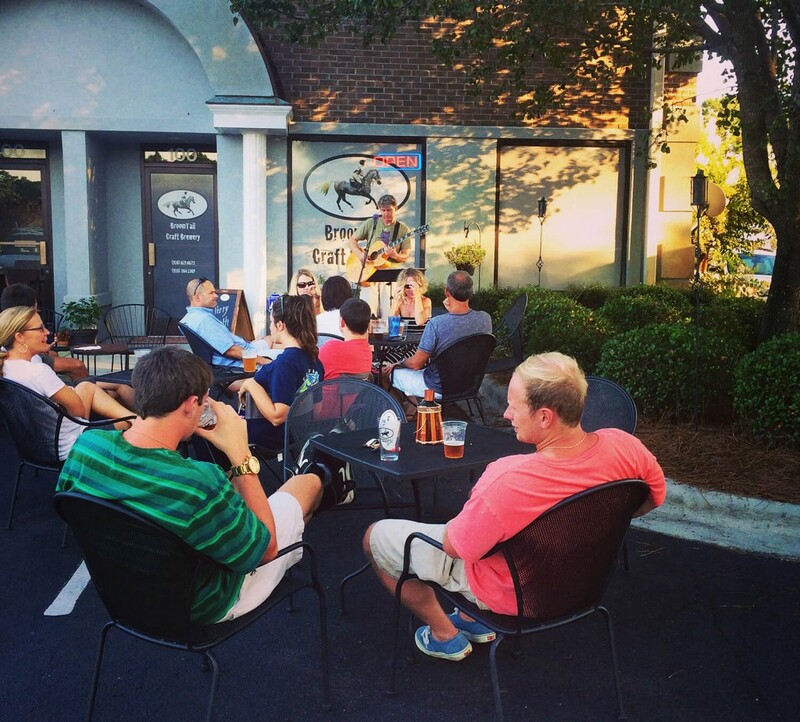 Hop on the “Port City Brew Bus” for an express tour of Wilmington’s craft-brew scene. It offers public and private brew tours during which patrons can visit a combination of three local breweries, witness firsthand the unique craft brewing process of each facility, and sample brews. Your tour guides, Mark Mueller and Jeremy Tomlinson, are beer aficionados whose passion is sharing the history, art, and science of craft brewing.